Baguales are wild horses that roam the vast Patagonian grasslands and forests of Argentina and Chile. They are a sturdy and robust horse; they can tolerate the highly variable climate of their native region. Most likely they evolved during the 16th century, with the introduction of Andalusian horses in Argentina by the Spanish conquistadors. It is believed that some of the horses either were released or had escaped, forming feral herds, which wandered freely in the steppes and grasslands. Today, a few hundred Baguales horses remain with in Torres del Paine. 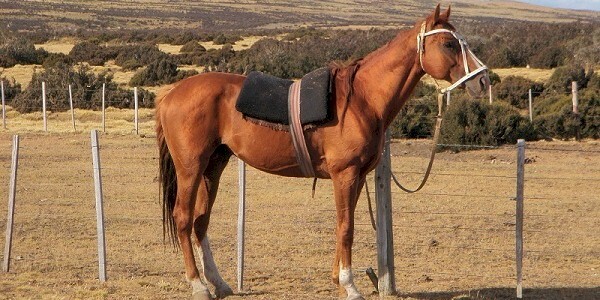 However, the National Park authorities consider these horses as invasive and have ordered for their removal. Several research teams and non-profit organizations are working closely to prevent the possible extermination of these wild horses.